Here at Life of Riley, we love nothing more than to bring you the top hotels in the world, but at 13,000 feet, The Hotel Everest View takes the crown. Nestled within the Sagarmatha (Everest) National Park in Nepal, a UNESCO World Heritage Site, the hotel offers a 360-degree view of the awe-inspiring peaks. With a view of Annapurna from every room, visitors can immerse themselves in luxury amongst the most spectacular panoramas this beautiful earth has to offer. The views will stay with you forever. In our luxurious rooms, visitors can celebrate the art of pure relaxation by enjoying the tranquillity and peacefulness that can be felt in such sublime settings. ""Made it, Ma! Top of the world!"" 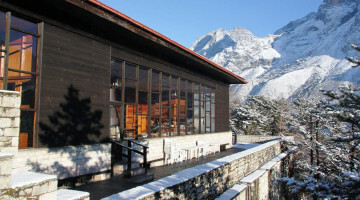 Who’d have thunk there was a luxury hotel so high in The Himalayas? Takashi Miyahara - that’s who! He first laid eyes on the magnificent Everest scene in 1968 and it captivated his heart and from that moment, he dared to dream that one day he would build a world class hotel in that same location. 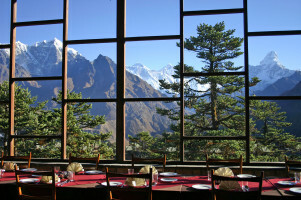 Hotel Everest View epitomises the adventurous spirit of the Himalayas. It is a perfect place from which to set off on hikes or leisurely explore the surroundings: See how life has hardly changed in a thousand years in Khumjung and Namche villages. 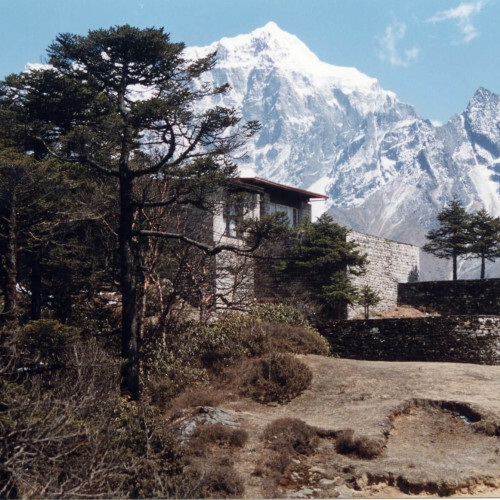 Hike or ride a horse to the famous Tengboche monastery and majestic peaks. Oh, and did we mention you can even be dropped off and picked up by helicopter? Walk amongst the gods at the top of the world!